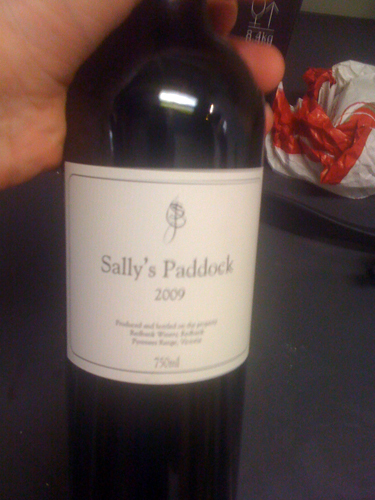 I’ve really struggled with the most recent Sally’s Paddock red releases, with all of them carrying the mark of a few hard drought vintages on their sleeves. Thankfully, that drought has well and truly broken (the area flooded three times this summer), the vineyard itself is proven (the glorious 97 sticks firmly in my memory) and the traditional, hands-off winemaking is right on the money (I appreciated it here). All of which means that things should be on the upswing again. I certainly hope so, for I definitely don’t love this wine. In fact, I struggled to finish a glass. It’s a firm, hard and desiccated red that’s heavy with extract, mint and volatility. Everything about it looks dried out. The palate mirrors this with a structure-heavy form and not enough fruit freshness to carry it off – there is some rich stewed red fruit through the middle, but it just hides behind the extract. The finish is particularly angular with raspy, astringent tannins and alcohol warmth. 2014 – Hunter Vintage of the Century? A difficult wine to love but somewhere in the bronze medal zone in classic judging sense? Generous! I'm with you, your notes bang on, no pleasure in there. Thankyou sir, I actually had it marked much lower (off bronze) but left it overnight and found a little bit more flesh. Still struggled though..